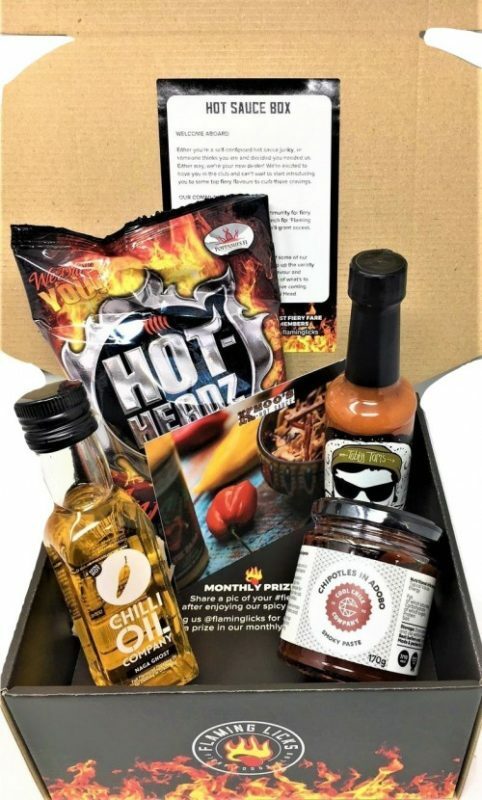 We curate monthly boxes of the UK’s incredible craft hot sauces and spicy foods. Since launching in April 2015 we’ve worked closely with the most unbelievably passionate and skilled spicy food producers. Our mission is to take the everyday spicy food fans of this world and turn them into absolute raving chilli addicts. We curate a different box every month. 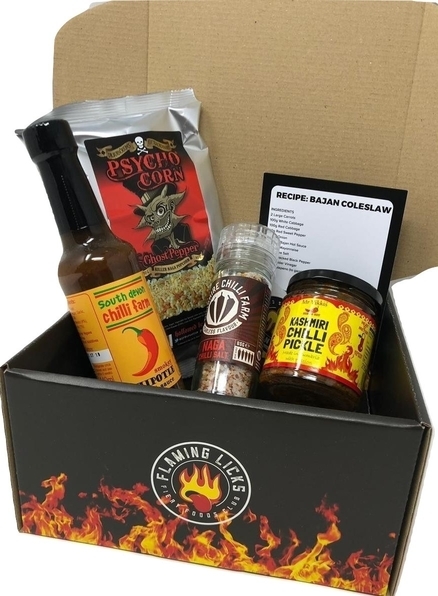 Our Hot Sauce Box is for the true hot sauce and spicy food addict, packing in hot sauces, spicy condiments, cooking products and spicy snacks. A former world touring punk rock violinist with a crippling addiction to spicy food called Dave launched Lick My Dip as the nation’s first ever hot sauce subscription via a successful Kickstarter campaign. Immediately Lick My Dip began to broaden the nation’s spice horizons by making the thrill of discovering new chilli products just that much more accessible. 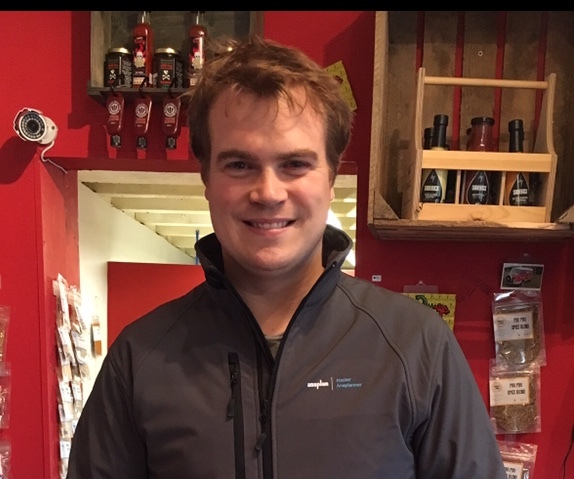 Sauce-obsessed (and now our Chief Chilli Head) James, launched Sidekick Sauce at the Festival of Heat in Shoreditch, London where founders Dave and James met. The Screaming Pepper sauce by Sidekick was quickly featured in the October 2015 box to much acclaim from the members. The Sidekick Sauce team go on to open Wimborne Chilli Shop (and future Flaming Licks HQ) in Dorset. Stocking 100’s of the UK’s most amazing spicy products, it begins to fuel the flames across the South Coast. A year later Lick My Dip and Sidekick Sauce decide they’re better together and decide to join forces. They forge on with their missions burning up Britain. Way past the honeymoon period and as a result of months of beautiful, yet slightly sadistic mating of hot stuff spawns the fiery foods club, Flaming Licks. A burning, overwhelming desire lives on to showcase the greatest spicy artisan produce we can find. Here we stand, immensely proud to be shipping the finest British small batch spicy products to the most committed spicy food addicts all over the world. From the simple to the unique, from the subtle to the in-your-face fire, we strive to blow the minds and mouths of all spicy food fans on the planet!